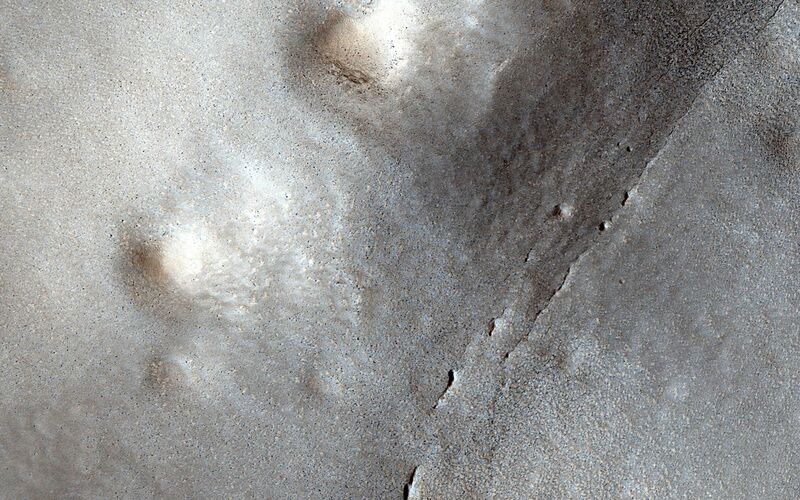 This image shows many small craters over a larger degraded one in the northern lowlands. 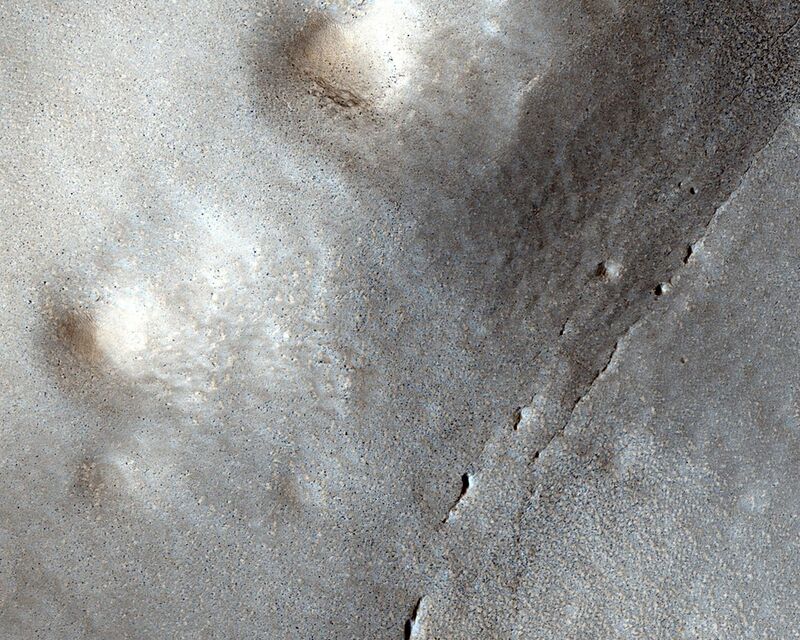 These small craters are smoother and shallower than their counterparts closer to the equator. 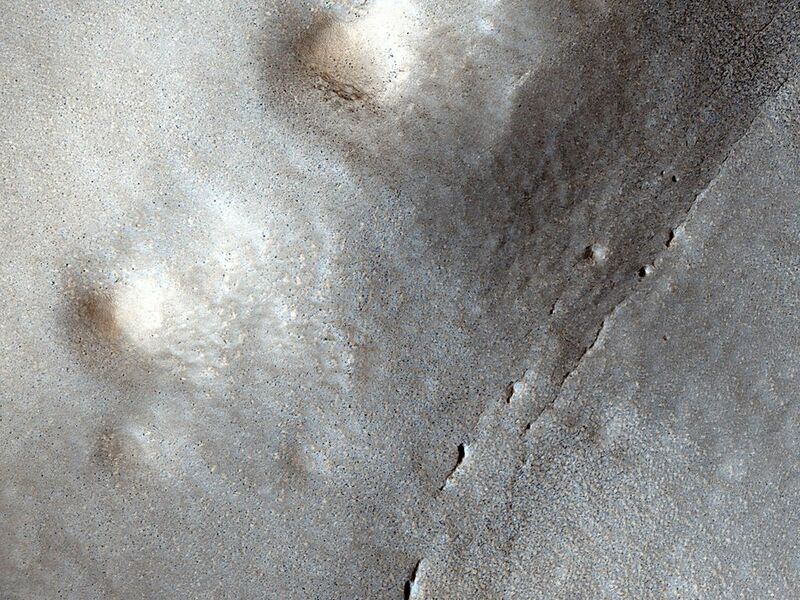 Scientists believe this difference is a result of impact into a region with subsurface ice, which sublimates when exposed to the Martian atmosphere. 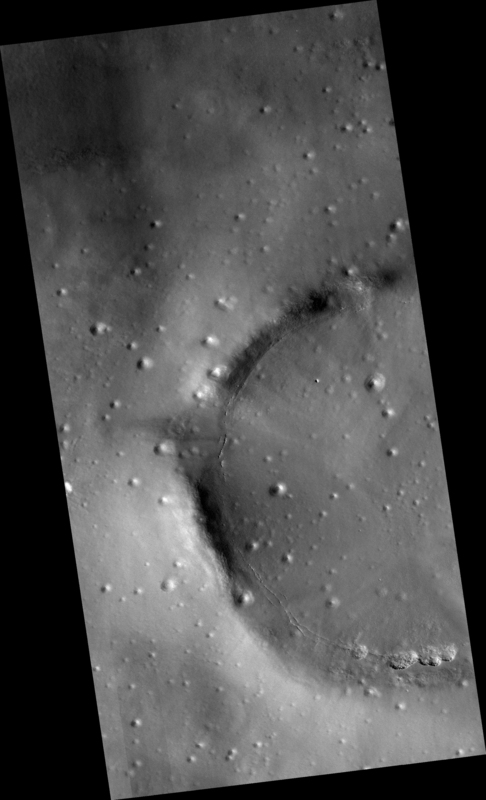 This causes the crater to gradually expand and flatten after impact.